We also have a huge range of used Caravans. 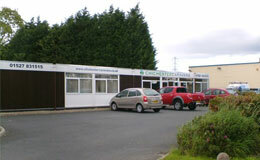 Click below to see our stock, call 01527 831515 or email bromsgrove@chichester-caravans.co.uk. Single & Twin axle servicing-comprehensive 45 point check of all appliances and vehicle systems including Gas, 12v, 240v, water, chassis, brakes, running gear, electrical system, vents ⁄Exhaust Flues and a water ingress report. Our comprehensive pricing structure means that the price quoted includes V.A.T and all standard parts (locking hub nuts, smoke alarm battery, lubricants etc). For advance booking please contact us now. Water ingress repairs, fitting of Motor movers, Solar panels, Satellite systems and other caravan accessories, also electrical work including fitting of extra sockets and periodic inspection reports. 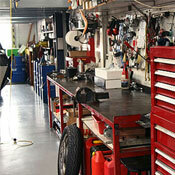 The Bromsgrove centre has a dedicated spray and repair shop and offers a full insurance repair service. 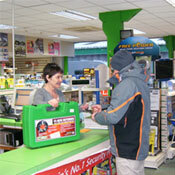 Our friendly staff are always on hand to help you find the perfect caravans accessories and must haves. Keep an eye on our welcome tab (above) for latest offers, visit our accessories page for more items we stock or why not visit us in store. Making a large purchase like a caravan or motorhome can be a daunting experience, so you're going to want someone on your side to help you through. With over 30 years experience of providing point of sale finance to help customers realise their dreams, Black Horse is the only finance company with a team dedicated to caravans and motorhomes. We're here to make it easier.